So, round one of my photo challenge was won by an AI. Let’s see if human intelligence can do better this time. Here’s the photo. Can you guess where it is? Run for your lives! Aliens have landed in England! Does somebody know how to contact The Doctor? Is it in Brussels? The atomium. That was quick! Yes, you are 100% correct! My oldest sister visited there when she and her husband were in Germany during the World’s Fair in 1958. I remember her pictures from age 11. Excellent. 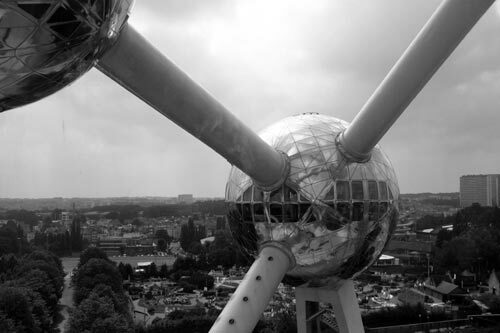 Nothing more to say, except that the Atomium is the second most interesting thing to see in Brussels.